Google My Business is a service provided by Google that literally puts your business on the map. It’s a handy business tool that costs nothing to set up and improves your search ranking and makes it easier for customers to find you. It’s easy to use and only takes a few moments to set up, but many businesses simply overlook it or don’t realise it’s there. When you become a Which? Trusted trader, your profile on the site gives you a great online presence linked to the trusted Which? name. But it is always a good idea to take other steps to improve your visibility on a general Google search. 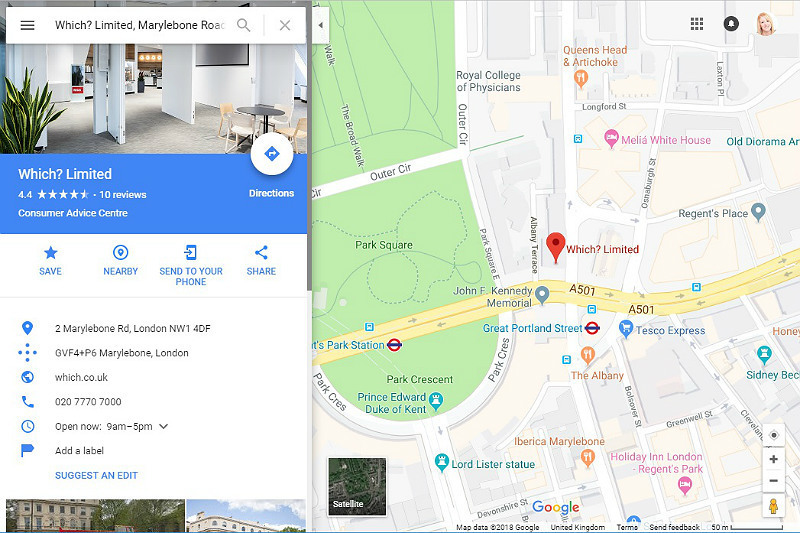 Creating and verifying your Google My Business profile helps synchronise all your business listings on Google platforms (maps, general search, Google+). Creating your listing is very easy. Go to Google My Business and follow the straightforward sign-up process. You need to fill in a template with details about your business name, address, business area, telephone numbers and so on. You can add as much little detail as you like – it can helpful to add photos, directions and business hours to help customers get in touch. Keep your listing up to date to allow existing and potential customers to find your business details more easily. You can edit your listing when needed. This can be particularly useful around bank holidays to indicate when you are open, for example. It’s up to you how detailed you want to be, but much like your Which? Trusted Traders profile, you can add images of your work and videos to encourage other potential customers to use your business. Check our guide to how to get the best pictures on your profile, to ensure you’re getting the best images. If you have more than one business location, you can add these in bulk from the handy Google My Business dashboard. 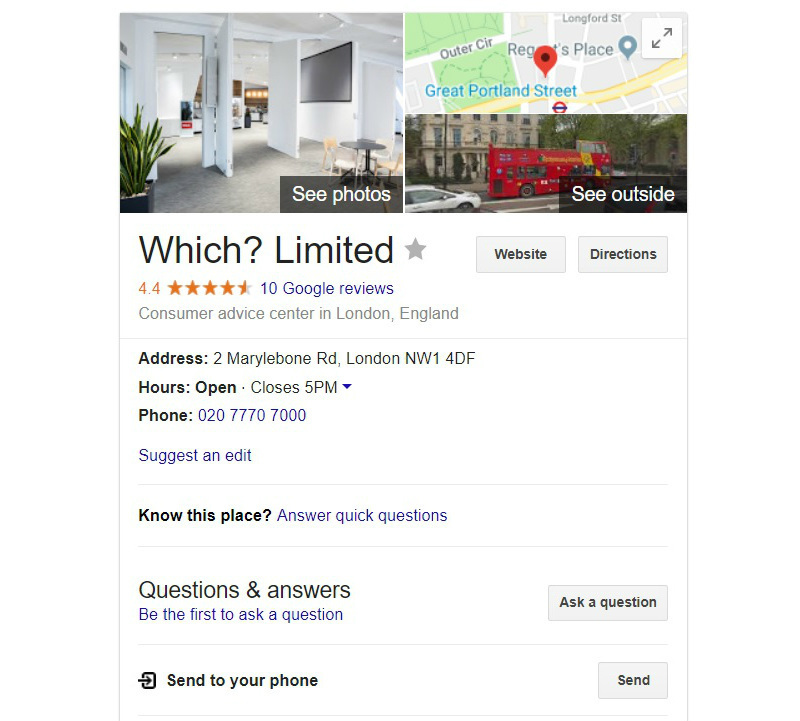 Google My Business also allows you to see how many people are viewing your business and look at the traffic to your website.